Yesterday, Lucasfilm dropped a major bombshell in revealing that the creators of Game of Thrones, David Benioff and D.B. Weiss, would be writing and producing a series of films set within the Star Wars universe. It was a surprising move, as the pair had previously announced a different follow-up project to Game of Thrones — the controversial HBO series Confederate. In some ways, Benioff and Weiss making Star Wars films might make sense, as the duo are the masterminds behind the biggest fantasy epic television series of all time. But the move officially signaled fatigue within the galaxy. Because let’s face it, do we really need more white men leading Star Wars films? Since the announcement of this brand new sequel trilogy (along with the standalone films), fans have watched Lucasfilm unveil each new white male hired — or hired, fired, and replaced by another white man — for a major creative role on one of the films. But following a summer of rampant and highly publicized behind-the-scenes creative issues, Lucasfilm has begun laying out its cards for the future of the franchise, and unfortunately, it is looking very white male. A brand new Rian Johnson trilogy was announced just a few months ago and, now, with the Benioff/Weiss film hiring — for what will supposedly be a new trilogy, but Lucasfilm was deliberately vague in the announcement — we’ve officially hit white male fatigue. With both projects, we’re looking at at least another six movies helmed by white men — in addition to the three already set to come out over the next few years. But while Star Wars‘ love affair with white male writers and directors has become something of a sick joke, a la Jar Jar Binks, there’s nothing quite as sobering as seeing the numbers broken down. 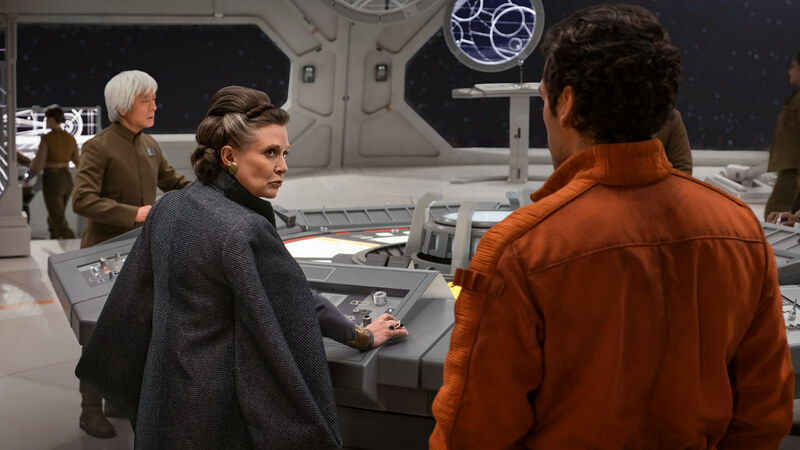 Variety critic Maureen Ryan went through the entire Star Wars franchise history, and save a single writing credit by a white woman — Leigh Brackett for The Empire Strikes Back in 1980, a movie that came out 38 years ago— the Star Wars creative leads have been entirely white and male. Between the original trilogy, the prequel trilogy, the sequel trilogy, the standalone films, and the newly announced Star Wars projects, 24 people have been hired to write, direct, or fill a major creative role — including those who left or were fired from the project prior to its completion — and 23 of them have been white men. There are a lot of capable men of color, women of color, and white women who could not only helm a Star Wars movie but make a damn good one. Just one look at a Black Panther, A Wrinkle in Time, or Wonder Woman and you’ll see that. Considering the numerous ongoing conversations about representation and diversity behind the camera, it’s disappointing that Disney and Lucasfilm have continued to solely hire white men to make films — to varying degrees of success. With these new projects, it’s clear Disney is looking to completely saturate the market with Star Wars movies, and we’ll likely be seeing them churned out every year for the next decade or so — essentially a galaxy far, far away version of the MCU. So it is really time for Lucasfilm to reevaluate its criteria for writers and directors and start widening the net to the incredible sea of talent that have been left out of the conversation for decades. Meanwhile, Benioff and Weiss — who have a nearly-as-dismal track record as Lucasfilm when it comes to their own hiring men of color, women of color, and any women as writers and directors on Game of Thrones — need to also do some serious reflecting on their Star Wars plans moving forward. Star Wars fans are actively rooting for the franchise, regardless what an alt-right fanboy posts in a comments section somewhere. But in order for the franchise to leave a legacy as one of the greatest storytelling franchises of all time, it needs other voices to contribute to the story, too.